Every year, our local United Way organizes Days of Caring to give back to organizations in our community. 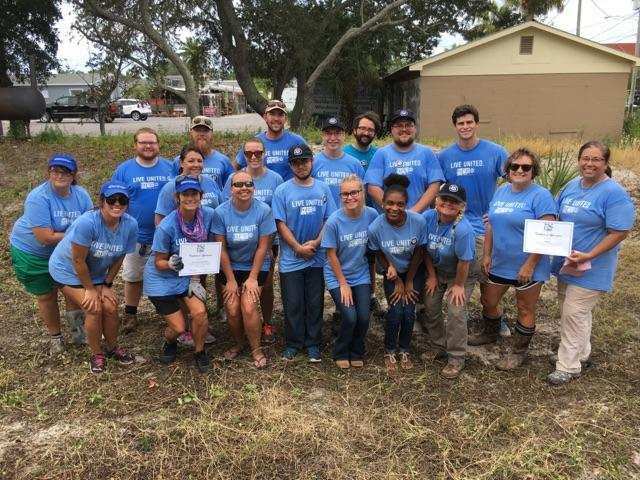 This year, CBA and the NWF AmeriCorps team came together to remove vegetation and weeds from Harvest House property. Harvest House – a nonprofit based in Destin – provides food, clothing, and shelter to those who are less fortunate and at a point of need in their life. In 2016, they assisted over 5,000 people. 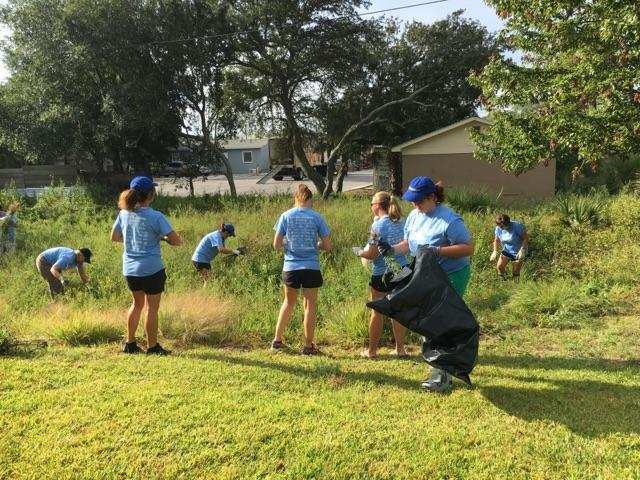 For the United Day of Caring event, Harvest House needed help clearing a retention basin on their property. Over the course of four hours, the team successfully cleared over a dozen bags of vegetation (see before and after photos below). – Days of Caring demonstrate that volunteer efforts are vital to the well-being of the community. – Days of Caring provide volunteers with a firsthand look at services provided by local organizations that make an impact on people’s lives. – Days of Caring showcase our communities’ volunteer efforts and promotes the spirit of caring throughout the year. – Days of Caring provides many local organizations with much-needed volunteer assistance. – Days of Caring is a great team building exercise for your family, service organization or employees. CBA and the AmeriCorps team definitely found meaning in the experience.